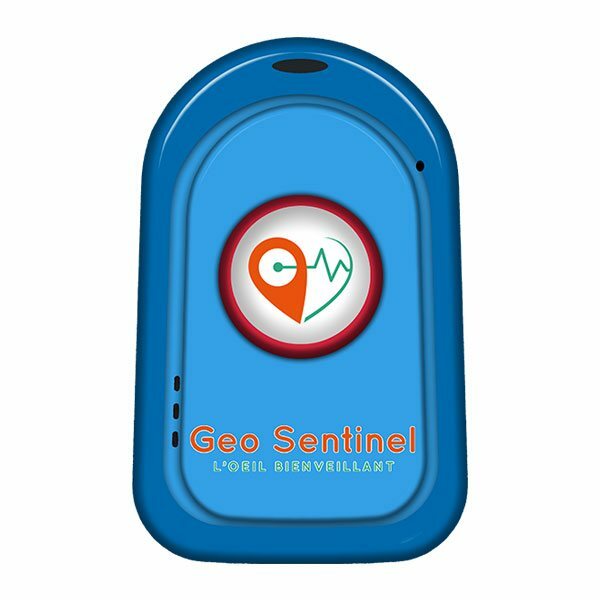 The Geo Sentinel solution displays a set of high-tech functionalities allowing our family members or the health care personnel a complete answer to the problematics related to the physiological state of the user. Then the health care personnel and the family members are reassured and the user gains more freedom and autonomy. The health sensors measure the blood pressure, the blood oxygen rate, the heart rate. The health status is collected and secured on a dedicated platform (ISO 27001 certified). 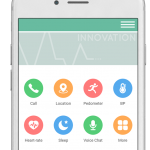 The referenced person (doctor, nurse, caregiver, family) receives alerts and consults at any time via the application the physiological evolutions of his patient. This tool responds to vital emergencies (health alerts), anticipates risks (alerts and history) and allows to adapt the care and the medication treatments in order to take better care of the needs of the patient. Backed by a technological partnership with Jaguar Network, Geo Sentinel hosts the personal collected data inside a perfectly secured cloud infrastructure. Essential actor in the Data Centers area, Cloud and Communication networks, Jaguar network is ISO 27001* and PCI DSS** certified for its data centers and operates in conformity with the prerequisites of the ASIP SANTE***. *Data security management system international standard. 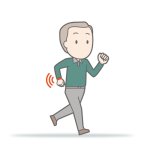 The integrated GPS allows to follow in real time with a precision of a few meters a family member or patient moves when he is outside of his home or his health building. To particulary prevent the runaways, Geo Sentinel presents an indoor geolocalisation solution. The user moves can be repeated inside the buildings thanks to a magnetic localization system (with a precision in the range of 70 cm). 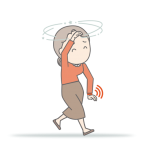 This tool is very useful to prevent the runways of patients suffering from the Alzheimer disease. 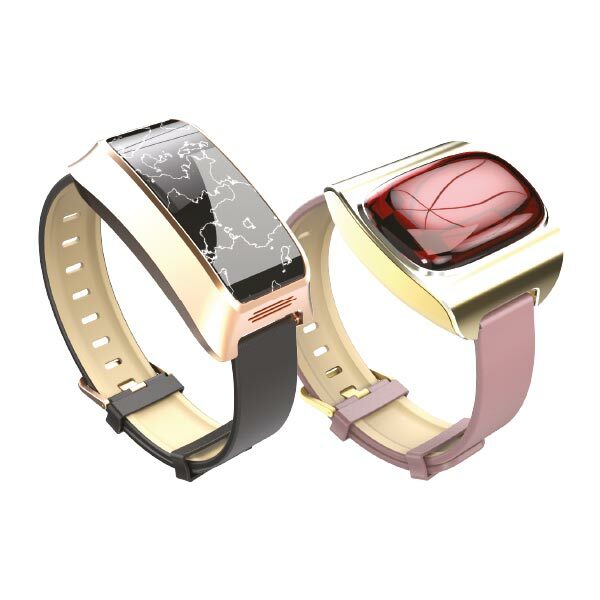 All the Geo Alzheimer Watches are equipped with a secured locking system specifically developed for the patients suffering from the Alzheimer disease. The silicon wristband of the watch is comfortable and hypoallergenic. This locking system is adaptable on demand on the whole range of the Geo Sentinel products. One push only to send the warning. In case of a distress situation the Geo Sentine solution user will be able to simultaneously alert all the registered persons by SMS, email and voice call in order to ask for their help. If the first designated person does not answer to the call, the software will launch cascading calls until one interlocutor starts to communicate with the family member or the patient. 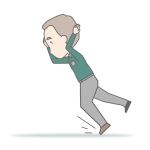 The fall risks are frequent for dependant and isolated people. In order to avoid the collateral damages linked to this type of accident, Geo Sentinel includes in its connected devices a fall detector. During a violent shock and an immobilization, a warning is transmitted to the platform which analyzes the event and warn the family members or the health personnel in order to quickly act. 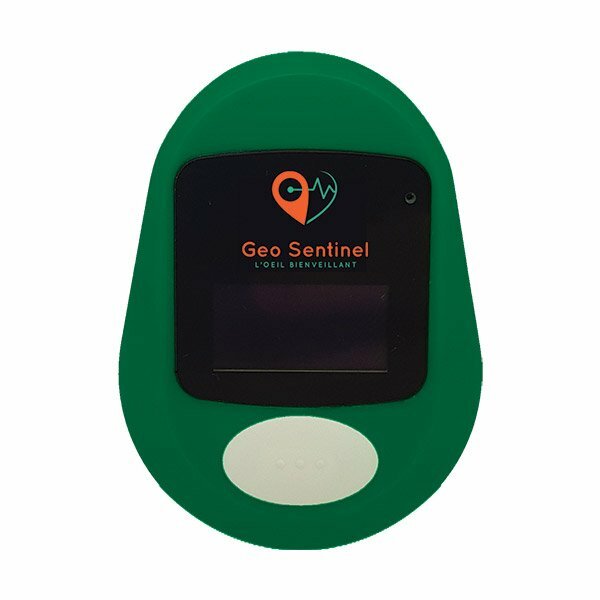 Ergonomic, the Geo Sentinel application offers a simple and secured browsing. The health status and the collected warnings can be consulted online on computer, mobile and tablet. You can follow wherever you are and at any moment the user physiological status and moves. Geo Sentinel offers solutions adaptated to your usages. You have a need ? Geo Sentinel fills it. Thanks to its high-tech equipment, the GAW allows its user to recover its mobility and its autonomy in complete safety. It offers the family members and the health personal the possibility to keep a constant contact with the user, to know in real time its position and its health status thanks to the integrated sensors. 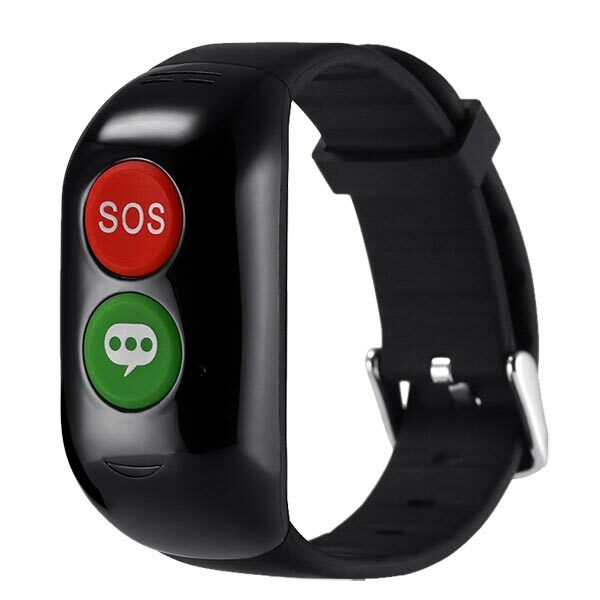 Geo Save Me (GSM) is composed of a SOS call button (red), a « fast messages » button (green) and comfort data sensors. Ideal for dependant people or isolated workers, GSM is the best rampart against dangerous situations. 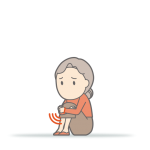 Geo Take Care (GTC) allows the isolated and dependant people to warn in on click a family member or a carer in case of distress or danger situation. Really easy to use, light, it is worn as a medallion and fits perfectly the need of people in great dependence.